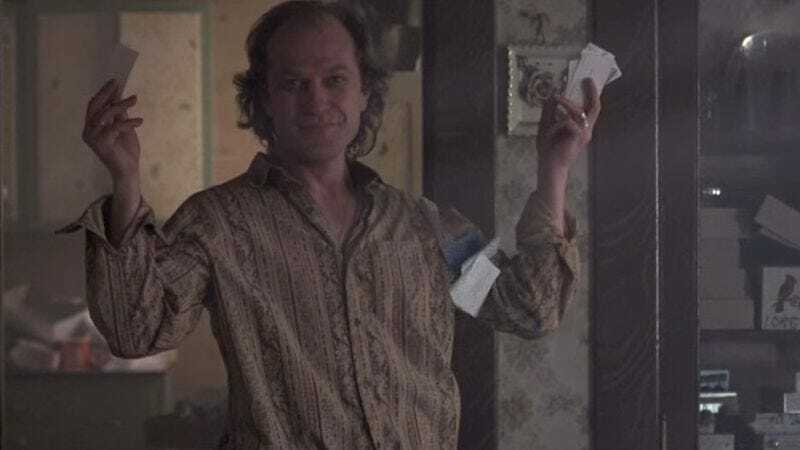 It places its house on the market—The Pittsburgh Tribune-Review (via Mashable) reports that the home used as Buffalo Bill’s (Ted Levine) lair in Silence Of The Lambs is for sale. Barbara and Scott Lloyd have listed their Pennsylvanian home for just $300,000, which is nowhere near as expensive as Jesse Pinkman’s house. Yes, Buffalo Bill got it for even less, but you’re better off putting your money into escrow rather than resorting to murderous squatting. The house was prominently featured in the climactic scene between Buffalo Bill and Clarice Starling (Jodie Foster). Architecture buffs might have noticed the gorgeous oak paneling in the dining room while watching Starling’s epiphany of Jame Gumb’s true identity. And those are hardwood floors that a barefoot Bill runs across to get down to his murder pit. Sadly, the kitchen island and gazebo didn’t make it into movie history, probably because they hadn’t been installed yet. The three-story house, which appeared downright labyrinthine in the film, has four bedrooms and only one full bath. It also comes with a detached four-car garage and a swimming pool. But there is one caveat for creeps—there is no well or pit on the property. The infamous lotion scene with Catherine Martin (Brooke Smith) were actually shot on a soundstage. The house has a regular old basement which you can use to store your wine or old TVs, not any cleavers or corpses. The Lloyds told the Tribune-Review they’re selling because the upkeep has become too much, and they’re looking to downsize. Barbara Lloyd said the impending move is “bittersweet,” as they got married and raised a son (who’s probably definitely alive) in the Victorian house.